In a bid to become a central hub for the development of sustainable solutions to aid future urban challenges, Copenhagen will get a new Smart Lab in the centre of the city. Copenhagen Municipality has teamed up with the French lighting and traffic giant Citelum, the multinational IT company Cisco and TDC Erhverv to get the lab ready for its opening in June. 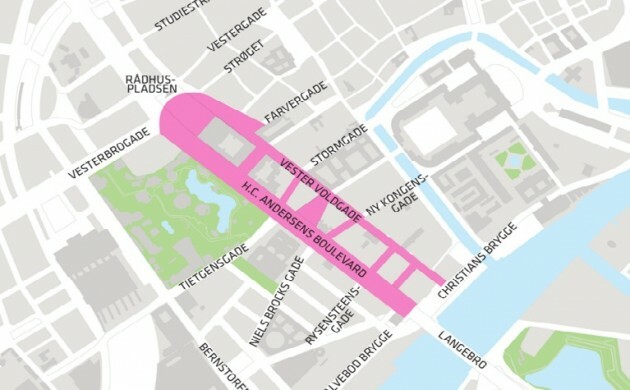 The Street Lab will use state-of-the-art measuring sensors and city wifi to collect data that can provide a unique insight into Copenhagen’s current condition. Kabell contended that the need for the development of smart and digital solutions is more relevant than ever before as more and more people move to urban areas. Today, over half of the world’s population lives in a city – a figure that is expected to increase to two-thirds by 2050. Among other things, the goal will be to test how well one can measure air quality using the latest generation of sensors, which are less costly. They are not expected to have the same precision as the container-sized sensor currently on HC Andersens Boulevard, but they will be more affordable and thus be able to cover a larger area. The trial of several types of sensor technologies in various rubbish containers in order to optimise rubbish collection, the placement of bins and the development of special solutions for night life. Internet access for tourists and online information for citizens and tourists regarding activities and opportunities in the city. The budget for 2016 includes funds for the testing and establishment of sensors to help drivers find vacant parking spots via an app and better utilise the city’s parking space. Later on down the line, solutions within tackling floods, mobility and the tracing of city equipment will also be tested.